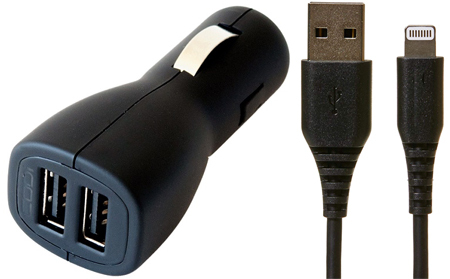 Have the assurance of a full battery bar with the Dual USB Car Charger. Simply plug the charger into your car's cigarette lighter or power port to rapidly charge two USB powered devices such as a cell phone, Tablet, MP3 player, iPhone, or iPad. This ultracompact and lightweight accessory automatically detects the device voltage needs.environment. MFi Certified. 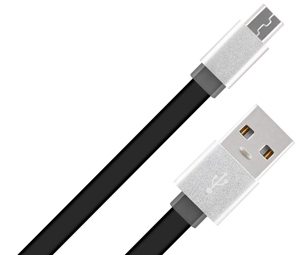 Includes a 6-Foot Lightning to USB Cable!!! MFi Certified. Its practical design and bright color makes it ideal for everyday use at work, home, school or wherever you need to take your data.